The following SLA Terms and Conditions apply only to Customers agreeing to a Minimum Service Period of one year or more for one of OrbitalNet’s Radio, Leased line or Ethernet dedicated access services and only in respect of the provision of such services during such period and where Customer accounts with OrbitalNet Ltd are in good standing. All remedies set out herein shall not be cumulative, and shall be Customer’s sole and exclusive remedy for non-performance under the relevant Agreement. United Kingdom Latency Guarantee Scope: Orbital’s Network Latency Guarantee is average round-trip transmissions of 100 milliseconds or less between OrbitalNet’s UK-designated inter-regional transit backbone network routers ("Hub Routers") in Kent. 99.9% Service Availability Guarantee Service Availability Guarantee Scope: Orbital Net’s Service Availability Guarantee is to have the Orbital Net Network (as defined in the applicable service agreement) available 99.9% of the time. Scheduled Maintenance shall mean any maintenance at the Orbital Net hub to which Customer's circuit is connected (a) in respect of which Customer shall be notified 48 hours in advance, and (b) that is performed during a standard maintenance window Sunday Morning from 1 AM to 3 AM local time of the OrbitalNet hub to Customer's circuit is connected. 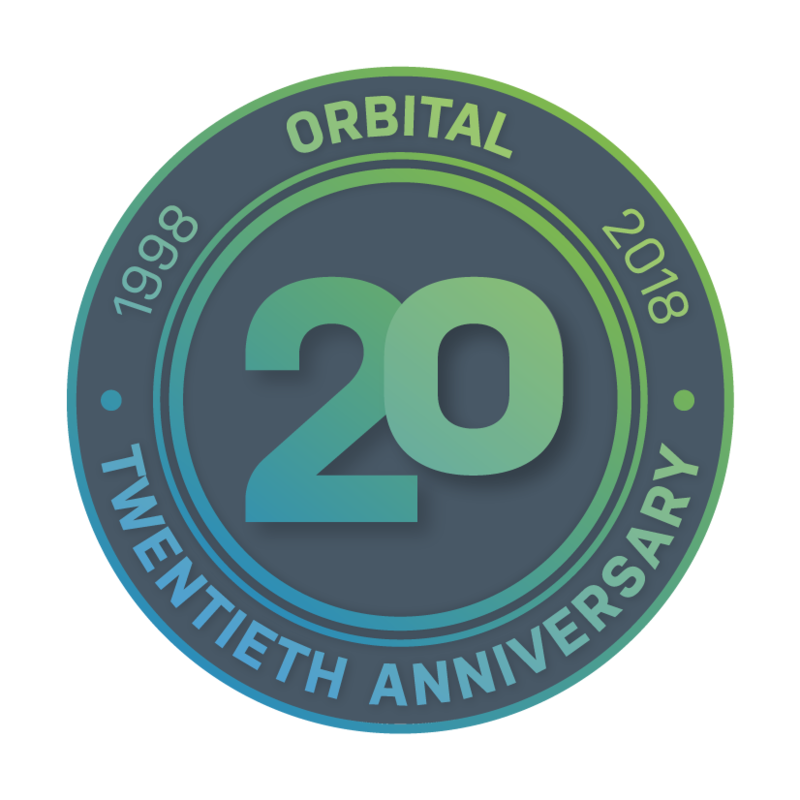 Notice of Scheduled Maintenance will be provided to Customer's designated point of contact by a method elected by OrbitalNet (telephone, email, fax or text). At Customer's request, OrbitalNet will calculate Customer's "Network Unavailability" in a calendar month. "Network Unavailability" consists of the number of minutes that the OrbitalNet Network or a OrbitalNet ordered telephone company circuit or Wireless connection in the contiguous UK was not available to Customer, and includes unavailability associated with any maintenance at the OrbitalNet hub to which Customer's circuit is connected other than Scheduled Maintenance. Outages will be counted as Network Unavailability only if OrbitalNet notifies Customer of the outage in accordance with the Outage Reporting Guarantee set forth below or if Customer opens a trouble ticket with OrbitalNet customer support within five days of the outage. Network unavailability will not include Scheduled Maintenance, or any unavailability resulting from (a) any Customer-ordered telephone company circuits, (b)Customer's applications, equipment, or facilities, (c) acts or omissions of Customer, or any use or user of the service authorized by Customer or (d) reasons of Force Majeure (as defined in the applicable service agreement). For each cumulative hour of Network Unavailability or fraction thereof in any calendar month, at Customer's request Customer's account shall be credited for the pro-rated charges for one day of the OrbitalNet Monthly Fee and one day's telephone company line charges for the service with respect to which a Service Availability Guarantee has not been met. Outage Reporting Guarantee Scope: OrbitalNet’s Outage Reporting Guarantee is to notify Customer within 15 minutes after OrbitalNet determination that Customer's service is unavailable. OrbitalNet’s standard procedure is to ping customer's router every five minutes. If Customer's router does not respond after two consecutive five-minute ping cycles, OrbhitalNet will deem the service unavailable and will contact Customer's designated point of contact by a method elected OrbitalNet (telephone, email, fax or text). If OrbitalNet fails to meet the Outage Reporting Guarantee, at Customer's request Customer's account shall be credited the pro-rated charges for one day of the OrbitalNet Monthly Fee for the service with respect to which this Guarantee has not been met; provided, that Customer may obtain no more than one credit per day, irrespective of how often in that day OrbitalNet failed to meet the Outage Reporting Guarantee.